Nick Flanagan and Jason Scrivener lead the Australian charge on home soil at the halfway mark in the Vic Open. Flanagan held a two-shot advantage following the first round at 13th Beach Golf Club, but he has company at the top of a compact leaderboard heading into the weekend. The world number 979 made a four-under 68 on the Beach Course to sit pretty on 14 under alongside compatriot Scrivener, who signed for a six-under 66. Overnight leader Flanagan, attempting to secure a European Tour card, made three birdies to go out in 33 and picked up a further two shots at the 13th and 15th before his only bogey of the day at 16. Scrivener got off to a flyer starting on the back nine of the same course. He made successive birdies and another two at 15 and 18, then came up with another couple of gains on the front nine. The in-form Scrivener is birdie-free through two rounds and will have to maintain the high standards he has set, with a host of players poised to mount a challenge for the title in Geelong. 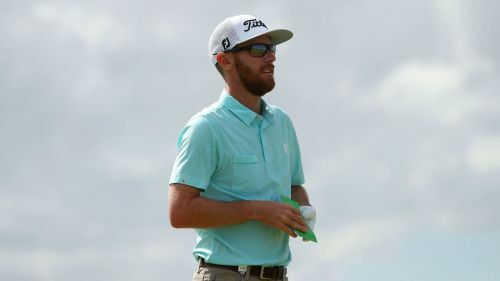 Wade Ormsby is just a shot behind the leading duo after a six-under 66 on the Creek Course, while Matt Jager and Brad Kennedy are a further stroke back. Clermont Sordet produced the best round of the day of 64 to move to 11 under along with David Law and Nick Cullen, while James Nitties dropped back to six under a day after conjuring a world record-equalling nine consecutive birdies.